This post is sponsored by True Chews® Dog Treats and the BlogPaws® Pet Influencer Network™. I am being compensated to help share information about the True Chews line of all-natural dog treats , but Life With Mutts only shares information we feel is relevant to our readers. All statements made reflect my true opinion of the product. True Chews is not responsible for the content of this article. For our family, that journey is incomplete without two things… adventure and dogs! We’ve always been an active, no holds barred, adventurous family. While most people our age are busy with kids’ soccer games and playdates, we’re deep in the woods with our dogs, tearing it up on the trails. Our dogs are our kids. Our furry, rock scaling, adrenaline-pumping kids. They hike up mountains with us, swim across streams, scramble up boulders. They’re big and tough and would follow us to the ends of the Earth, if they weren’t already leading the way. They give us their best and they deserve our best in return. This is why we were SO excited to partner with True Chews® Dog Treats to share a little bit of our Life’s Journey with you. Roxie came into our lives a little over a year ago as a 5.5 lb scared, frail little puppy that our neighbor found roaming the streets. Not exactly the dog we would have thought to add to our pack of big adventurous dogs, but if you know us, you know we aren’t the ones doing the picking. Roxie’s finder looked for her owners to no avail, and then started looking for someone to take her in. His wife was pregnant and they couldn’t keep her, so we agreed to foster her. The minute I picked her up, she nuzzled her tiny little self into my neck. That was it. Roxie was ours, forever. The question was, could she hang with the big dogs? I’ve always been a big dog person, especially because of our active lifestyle. I was a little concerned about how Roxie would be able to keep up. Boy did she have a thing or two to teach me! I had brought a backpack with us to carry her in if we needed to. Because of her size, we were pretty sure we’d always have to leave a little extra space in there for her, just in case. She rode in the pack, happy as a clam to be out with everyone on the trail. But, after a few hikes, her stamina picked up and she didn’t need the pack anymore. She had turned into the perfect little adventure pup! Now, she runs just as hard, if not harder, than the big dogs and crushes every obstacle in her way like the little champ she is. Roxie’s favorite thing in the world is hiking, especially with her hound sister Boomer. Our favorite hikes are ones with rocks to climb, trees to jump over, streams to cross. There is no adventure too big, no trail to hard for this little pup. She is the embodiment of strength of will and determination. One of our favorite things is meeting up with other active dog owners and checking out new trails. I shot this video on one of our recent hikes to show you this little girl in action. You can tell how much she loves running with Boomer and her friends… and how much they all love True Chews (our friends’ dogs included)! As you can imagine, all that extra work Roxie has to put in to keep up takes a lot of energy! This is why we ALWAYS bring high-quality treats on our hikes. One of our new ABSOLUTE favorites is True Chews® Dog Treats. Our dogs give us a lot… unconditional love and loyalty, companionship, constant entertainment. Mine also help me keep my sanity. Working from home can get pretty boring, so I love having hiking partners that are ready to hit the trails with me at a moment’s notice. The point is, they give us their best, and they deserve the same in return. For me, this means giving them my time and attention, taking them on adventures, and giving them only the best treats! Doesn’t your dog deserve the best? Don’t forget to show them how much you love and appreciate them. Take them on an adventure, go for a car ride, or play their favorite game. Make your Life’s Journey with your dog that much more special with 100% Natural Made in the USA True Chews Dog Treats. Treat them well! Click here to find True Chews in a store near you! We’d love to hear about your Life’s Journey with your dog. Leave us a comment and let us know what special things you like to to do together! Aww what a great post. I love that all your dogs get along well together and Roxie fit right in. She’s definitely a strong determined little dog with a big heart. Great video footage you put together. Love the candid pics too. Your hiking destination looked so peaceful and serene. Perfect way to top off the trip with the True chews for the pups. They look like very happy campers. Thanks for sharing. Love! Thanks Kamira! So glad you enjoyed the pics and video of our adventure! We have the best little pack. They are all so different, yet so amazing in their own way and compliment each other wonderfully. We had a great day together in the woods and the delicious True Chews treats were the icing on the cake! Our dogs are so great on the trail and deserve the yummiest treats around! God Bless you for giving Roxie all the love and adventure she could ever ask for!!! Such a gorgeous pup and love to see her “playing” with the big dogs!! Aww thanks Kristen! We try to do everything in our power to give our dogs the best life possible. There is nothing more precious to me than seeing them running around having the time of their lives, doing what they love most. Roxie fit right into our pack so perfectly and loves to run with the big dogs 🙂 Thanks for reading and for your kind words. Roxie is adorable – I love that she seems to be smiling proudly in most of the photos. The dogs work up an appetite for their True Chews reward! Thank you! She’s a super happy pup, especially on the trail doing what she loves most. She tends to have a serious case of RBF most of the time.. HAHA.. so seeing her smile, you know she’s REALLY happy! They defiitely work hard for their snacks, which is why they need high quality, energy packed treats on the trail! I love reading about active little dogs! I have two little guys myself. They are both very active and LOVE hiking, camping, you name it. It always makes me a bit sad to see little dogs just kept as ‘house dogs’. The little ones love adventures too! Yesss! I love meeting other people with active little pups. You are so right! They have the same likes and desires as any big dog. They just need to be given the opportunity to prove themselves. I was never a small dog person before, just because I had never known any who were allowed to be “real dogs.” Roxie is the BEST and I will always have at least one small pup from now on! Roxie is a ROCK star in every way isn’t she. What a brave pup and with these chews she will conquer the world!!! What a wonderful video and pictures. True Chews is such a great name brand and my dog loves the Chicken Pot Pie treats. He will do just about anything for one. They smell so good and I love they are made in the USA. Your post gave me the warm fuzzies. Your dogs are wonderful. Great post! And thank you, we are lucky to have the most amazing pack of pups! 🙂 Glad you enjoyed coming along on our hike with us! Roxie is so cute and I’m not surprised that she can keep up with the big dogs! Your video is great! It always amazes me how you can get great pack pictures. Usually Gonzo and Beau are constantly moving in opposite directions. What a lovely treat for a hike! She is so cute, a big dog in a little body – just adorable and awesome that she goes on all the hikes happily. Thank you! She is exactly that! The hangs so well with the big dogs and wants nothing more than to do whatever they do. I really love this post! You did such a great job on this review and I love the video. It’s so nice to see how far Roxie has come, and that she doesn’t let her size prevent her from having fun. I agree…. we should all be a little like Roxie. Roxie you are truly amazing! Keep on living life to the fullest. We have had Ruby almost four years and she also started out for frightened but has gained confidence slowly (it took her longer than Roxie). She has now made so much progress and happily goes for longer walks and greets other dogs (it took her over three years to work up to this). Aww, thanks! That’s the only way she knows how to live. Pedal to the metal, nothing to hold her back or hold her down. I love to hear that Ruby has made such progress too. It can take a long time sometimes. Ringo still has some anxiety issues, especially around new dogs and people, and some strange indoor spaces, like the vet’s office and pet stores. With our love and patience, our pups will continue to grow and thrive. I can’t wait to see what’s in store for Ruby <3 Keep up the great work with her! Way to go, Roxie! You found the purrfect forever home and you get to go on adventures all the time. Glad the True Chews are enjoyable. Aww, thanks! She seems to be pretty happy with us, at least I hope she is. She lights up when she’s out in nature, tearing up the trails, and yummy treats like True Chews are the icing on the cake! Roxie has won my heart! What a great post. Your photos are wonderful. First of all – awesome video. Second, I’ve never tried these treats! Definitely need to add it to my list. Thank you so much! I’m delighted to hear that you enjoyed the video. And definitely check out True Chews. My dogs (and my friends’ dogs too) go crazy for them. Wow, Roxie sure is a champ! I love it when the little dogs shock you by playing just as hard, if not harder, than the big dogs. My little shelter girl Phoebe surprised us all when she blossomed, she is so adventurous and doesn’t let anything stand in her way. Great video and review! 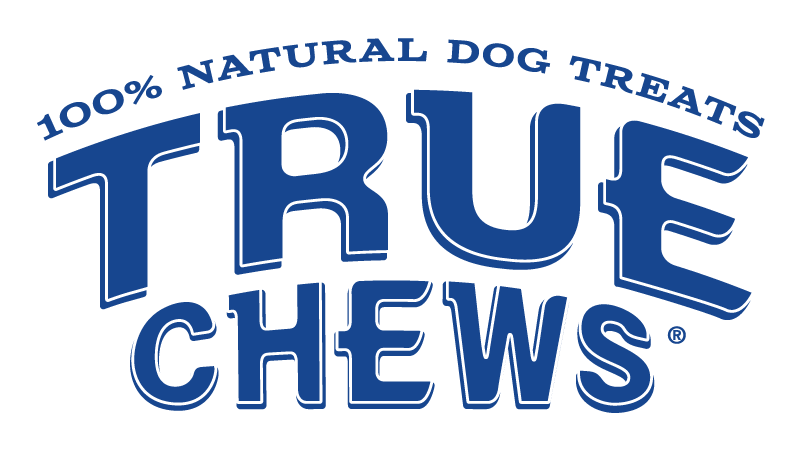 We tried True Chews and we especially love the chicken jerkey! Thank you Cathy! She really is 🙂 Phoebe sounds like our kind of little dog. I think most dogs are great examples of strength of character and determination, but it is so apparent when they’re so much smaller and have to work so much harder to do what the big dogs do. So glad you liked our video. The dogs were happily paid in True Chews. They seriously go crazy for them. We’ll have to try the Chicken Jerky! Ours have tried (and seriously love) the beef jerky and chicken pot pie treats.. yum! Oh of course she can keep up with the big kids! She’s an adventurer to the tiny core! How lucky Roxie is to have found such a great family. Dogs are always ready to give unconditional love. Aww, thank you so much. It’s so sweet of you to say that. We love this little girl with all our hearts and she is just the best addition to our pack! What a fabulous adventure! #BeLikeRoxie !! !